We've got our comfy shoes, hydration patches and poker faces ready for CES 2015 in Las Vegas next week. It's the world's biggest tech show but we're not going in blind. Thanks to hints, rumours and leaks aplenty, we have a pretty good idea of the new wearable tech devices that will be gracing the show floor. Here's what to expect. With Oculus, Samsung and Sony at CES 2015, we're looking forward to more hands on time with the Oculus Rift, Gear VR and Project Morpheus. Hopefully, we'll see new games, apps and hardware features and in the case of the Gear VR, with the Innovator Edition already on sale, maybe even a hint or peek at a successor. Samsung moves quickly. Oculus inventor Palmer Luckey will be at the show so we could also hear more on firm release dates for the consumer version of the Rift as well as what exactly he plans to do with Nimble VR's hand tracking tech. 2014 taught us that not everyone wants to mark themselves out as a true geek with a pair of obvious smartglasses. Google itself isn't attending CES 2015 but Sony is stepping in with its SmartEyeglass Attach OLED display module. It's a concept, not an official product launch, but we're still excited to see prototypes of the clip-on unit in action. And Sony's pre-CES press release hinted that we could see a device on sale in 2015. There's no hard facts on this just yet but Pebble has previous form outing its smartwatches at CES, such as the Pebble Steel at CES 2014. This was simply a better looking version of the original Pebble so for the third iteration, we hope Pebble can match the flawed beauty of some of the stunning Android Wear designs we've seen this year. As for everything else, we are not looking for a software overhaul. The battery life is great - by smartwatch standards - everything works as it should and more reliably than most wearables. This is a biggie. Tag is making no secret of its plans to build a smartwatch to rival the Apple Watch. And according to leaks, we could see an announcement at CES. Reportedly powered by Intel and with previous Tag sailing watches as its starting point, details are scarce. Will this be an entirely digital smartwatch? Or a beautiful hybrid that could kickstart a revolution for the traditional Swiss watchmaking industry. If we are disappointed at CES, the smartwatch will most likely debut in the first few months of 2015. We're still not completely sold on this rumour but reports have been coming in for the last few months that HTC will - finally - give wearables a go with a launch at CES. With no Android Wear device this year, it's late to the party. An event in October was pushed back in order to 'get things right' according to one HTC exec. It could be a smartwatch, it could be a fitness band but what we do know is that HTC has already hinted that it will work closely with existing fitness apps to build an ecosystem that works. We're hoping a Garmin Vivosmart-style hybrid is on the cards. Apple announced it is opening up iOS features such as Siri to smart home players and CES 2015 should see the first concrete examples of what an Apple Home might look - and sound - like. The list of partners Apple showed during its iPhone 6 and Apple Watch launch event in Cupertino included Philips, Withings, Netatmo, August and Honeywell. There's no word yet on whether the Google-owned Nest smart thermostat will get HomeKit compatibility. Back in June, Nest announced its own developer program including support for Google Voice controls so it doesn't look likely, at least for 2015. Apple itself doesn't attend CES but that won't stop it from stealing Sony's/Samsung's/LG's thunder. We just want to tell our Philips Wake Up Light that we need more snoozing time. JINS Meme smartglasses that know when you're tired will be demonstrated at CES to mark the US launch. And AmpStrip, the 24/7 heart rate monitor that's the size of a plaster and our current Crowdfund This pick, will be at the show too. It's not just health and fitness gadgets, wearable tech that can really improve people's lives will be in Vegas too. Open Bionics is taking its low-cost prosthetic arm to Sin City and it will be joined by the Volvo smart helmet system we covered recently. Smart fabrics, such as the motion tracking XefleX, will also be at CES. Smart clothing looks set to make a real impact in 2015 so it makes sense that we will see new innovations to kick off the year. Basically, anyone who is anyone in wearable tech will be at CES 2015. Apart from Apple, of course. 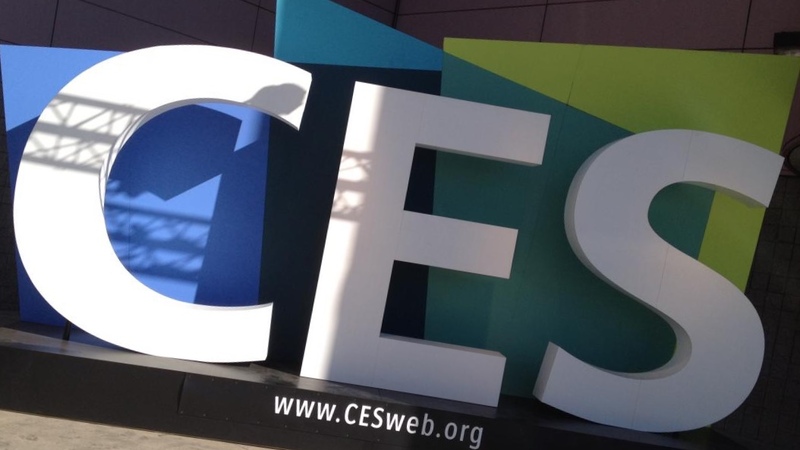 Wareable will be out in force this CES, providing you with the latest news, in-depth guides to newly announced tech and hands on impressions of the most exciting wearables on the show floor.